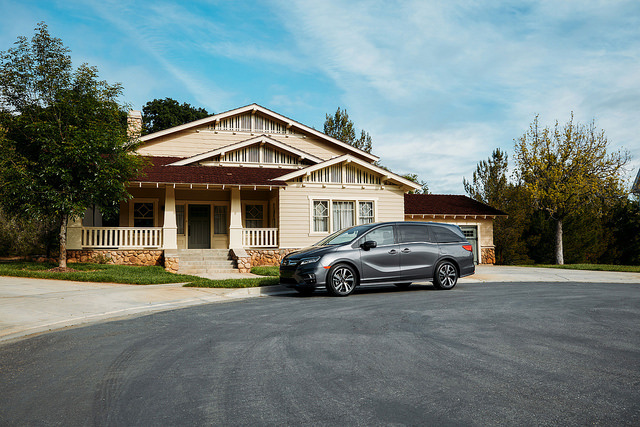 If you often embark on family road trips, chances are, you’ve frequently felt overwhelmed when it comes time to load up your Honda Odyssey with everyone’s gear and suitcases. And that’s where our Avery Greene Honda road-trip travel experts come into play. With a few basic strategies, you can pack your Odyssey like a pro for your next adventure. Stash coloring books, magazines, iPads, and other easy-to-grab activities behind the driver’s and front passenger’s seats. Store small electronics, chargers, and miscellaneous wires in the main console compartment between the front seats. Keeping your car clean (even in the kid-laden rear seats) is easy if you have trash bags on hand. Do not leave home without plastic shopping bags—they’re perfect for collecting trash that you accumulate with each stop you make along your journey. Do not leave home with your kid’s favorite teddy tucked away in trunk. Make sure everyone has all of their favorite comfort items and necessary odds-and-ends at hand. This can range from favorite toys to medications, like inhalers. If you’ve packed your vehicle but would like more suggestions for making your road trip as easy and enjoyable as possible, call us at Avery Greene Honda. We’ll be happy to set you up with a pre-vacation maintenance appointment.